Send your warm regards and love-filled emotions to your boyfriend by way of special Valentine gifts for him. Celebrate your relationship and add more colors for the amazing times to come by planning a thoughtful and expressive Valentine gifts for your boyfriend during this season of love. Have you often looked at him and wondered he is the best thing that happened to you? Do you wake up everyday to his texts and feel you are the luckiest girlfriend on Earth. Well, he is special. He is amazing in countless ways and for all the times he has made you feel on the top of the world, he deserves to be pampered too. Valentine’s Day being round the corner, it’s time to show him you care with best Valentine gifts for boyfriend because he never leaves your side, he never fails to pamper you. So,why should you? Being in love is an amazing feeling. Love is a celebration in itself. Especially when hearts are true and love is real, every small act of care matters. He makes sure to take care of all your needs, so should you. With Valentine’s season round the corner, it’s time to give him the most amazing surprise with romantic Valentine gifts for him. Whether you relationship is new or has passed the test of time, celebrate the new beginning and the strength of your togetherness not just with words but with scintillating gifts for him on Valentine’s Day 2019. Caught in the hustle and bustle of life, it’s not everyday that you express your love and gratitude for your boyfriend. Even if you do, it is usually in the form of words. Valentine’s Day comes once a year to make us all realize the importance of love and this season of love is the perfect time to give an expressive Valentine gift to him that goes beyond mere words and that he is able to cherish for a long time to come. Whether it is a handcrafted Valentine gift for him or a thoughtfully curated one, he is sure to feel touched by your gesture. 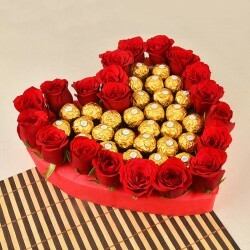 When it comes to choosing unique Valentine gifts for your boyfriend, trust on MyFlowerTree to have you covered with amazing choices. We have a range of unique gifts for him online that aren’t only thoughtful but also expressive. 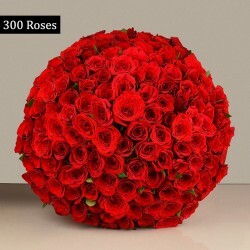 So, if you wish to send Valentine’s Day gifts to him that are in your budget and also love-filled, MyFlowerTree is your trusted online gift portal to pick from the most amazing assortment of Valentine gifts. We make sure our gifts bring delight to you and your loved ones without adding a burden of cost on your pocket. 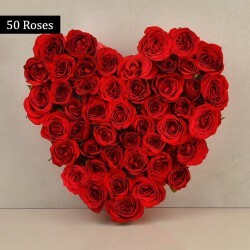 MyFlowerTree has a variety of gifts for Valentine’s Day to spoil you for choice. You name it and we have it. 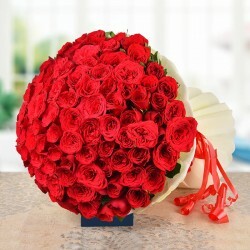 This time round, you may gift Valentine flowers to him and express the unexpressed and in the most subtle way. We have Valentine roses, carnations, orchids, lilies and mixed flower combo to choose from. We also have Valentine cakes, indoor plants, apparels, accessories, perfumes, bottle lamps, soft toys and so forth. You can choose to gift Valentine plants to him like bamboo plant and convey your good wishes to him. Likewise, it he likes to suit up often, gift him men’s accessories like wallets, belts and grooming kit so that he looks dashing every time he steps out. You may also choose to gift him Valentine cushions and coffee mugs and he is sure to feel touched. In case you are too confused to pick one, go for our Valentine combos for boyfriend that are especially designed keeping your loving beau in mind. Want to give a personalized touch to your gifts? Go an extra mile by planning a personalized gift for him on Valentine’s Day. We have a range of customized gifts like personalized cushions, personalized coffee mug for him, T-shirts for him, bottle lamps and so forth. You can contact us with your favorite picture of him or a couple photo of both of you for your order of mugs, t-shirt etc and we shall do the rest for you. Last but not the least, we have a range of cakes in different flavors like chocolate, vanilla, strawberry, fruit, red velvet for Valentine’s Day and so forth. You may also get photo Valentine cake for your partner of his favorite flavor and a delish cake shall reach his doorstep in no time. 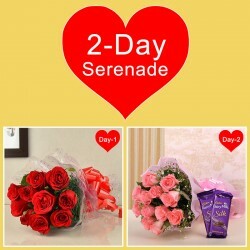 Now, you need not rush from one shop to another to search for the perfect Valentine’s Day gift for him? MyFlowerTree is here with a variety of options that are unique, love filled and affordable. We have 100% genuine and quality products so that you don’t have to worry about your investment. While local stores have limited choices and usually provide no discounts, we make sure to flush you with hundreds of choices at amazing deals. Save your precious time and just log into our portal for the best gifts for him during Valentine’s Day. 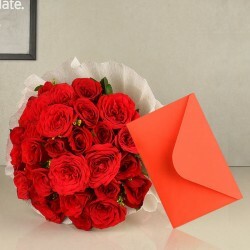 MyFlowerTree not only provides a vast range of love tokens but also super fast delivery of your gifts to your dear ones. Now, you no more have to depend on your local courier to send Valentine gifts to him each year and worry about on time delivery. 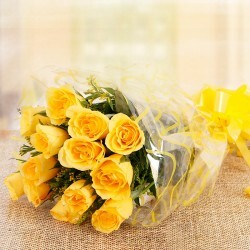 Trust on MyFlowerTree to help your gift reach your special one on time and keep the fire of the occasion alive. Just log into our portal, make a pick of your Valentine gifts for him and proceed to checkout while we do the rest for you. Our 100% secure payment gateway and on time delivery are should definitely keep you worry free while ordering gifts from us. Are you sharing a long distance relationship with your boyfriend? This doesn’t mean that the love between you and your partner has to lessen or the bond has to weaken. 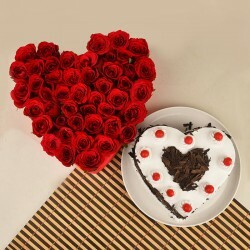 Keep the passions alive by sending Valentine’s gifts to him In India, no matter in which part of the country he resides. We make fast delivery of gifts all over the country so that distance is never a bar in love. Did you make last minute plans of sending online gift to him? Fret not, we have got you covered with our last minute delivery option to realize all your eleventh hour plans. 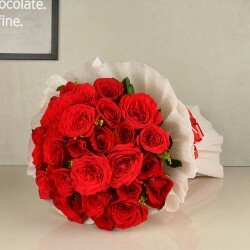 Therefore, if wish for the same day delivery of Valentine gifts, count on MyFlowerTree, your trusted online flower and gift portal to provide you a hassle free delivery. Go an extra mile and plan something super special for your boyfriend by sending him a midnight surprise of Valentine’s Day gifts to him. 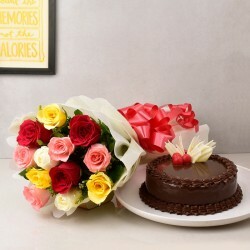 Choose midnight delivery of Valentine gifts from us and make him feel super special just when the clock strikes twelve. Therefore, this Valentine’s Day, make him smile ear to ear with thoughtful and romantic Valentine gifts for him crafted beautifully from MyFlowerTree.